was set alight by Aidan O'Brien's horse trainers 2012 Ballydoyle string. At first sight this son of Galileo did not shine last year, winning only one of six starts, however he gradually improved ending the season with a fine third off a mark of 98 over 1m 6f at York. He can pick up where he left off and can prove a force to be reckoned with in long distance races this term. Unfortunate to come up against the mighty Frankel on no less than three occasions last year, the Marc Botti trained Excelebration nevertheless secured two Group 1 wins - the German Guineas and the Prix Du Moulin at Longchamp. 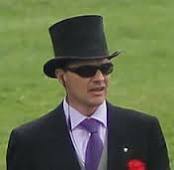 He changed horse trainers from Marco Botti to Aidan O'Brien and with the likelihood of Frankel stepping up to 1m 2f this term, the door should be open for him to add to his tally at distances up to 1m. Related to several smart performers including 2003 Derby 2nd The Great Gatsby. Made an impressive start by winning at the Curragh last September and has a bright future. This Galileo half sister to last year's Derby winner Pour Moi cost 900,000 gns as a yearling and her win last year on soft ground at Navan suggests she could be a live Oaks contender. Her win in the Group 1 in the Moyglare Stud Stakes last season, her sixth straight success, marks her out as an outstanding filly. Her size would suggest that the upward curve could continue this season. This son of Pivotal came to prominence when beating Born To Sea last year over 7f in the Group 3 Killavullan Stakes at Leopardstown. His trainer thought he would get a mile and improve again on better going and could line up in the Guineas for which his stablemate Camelot is currently favourite. This sister to Group 1 winning filly Misty For Me began her campaign last season with a fetching win at Leopardstown over 7f, drawing 6 lengths clear. Clearly a Group horse in the making she is likely to follow a similar course to her illustrious sister taking in the Irish 1000 Guineas and possibly the Filly & mare Turf at the Breeders Cup meeting in November. Her dam is a close sister to Sea The Stars and a half sister to Galileo so it was no surprise to see her win the Group 2 Rockfel at Newmarket last October over 7f. Her middle distance pedigree should see her flourish over 1m this season and is a live contender for the Oaks in June for which she is currently a 14-1 shot. Was impressive in winning her debut race at the Curragh in August which began to recoup her 1.2m guineas yearling sales price at Tattersalls although she was not seen again due to minor setbacks. She should continue as the apple of her horse trainers eye and pay her way this term. So impressive was his win on only his second start in the Racing Post Trophy at Doncaster last year that he was promptly promoted to favourite for the Epsom Derby 2012. This feat was achieved by Motivator in 2004 who duly obliged at Epsom the following year. Blessed with a straightforward temperament this son of Montjeu is a horse trainers dream and likely destined for great things in 2012. There is every reason to believe that this colt has a bright future in middle distance races this term having signed off last year with a brave win from the front in the Group 2 Beresford Stakes. The step up to a mile suited him well having finished a good third in the Group 1 Goffs National Stakes over 7f and a tilt at the Epsom Derby is on the cards. All of his four seasons racing have been rewarded by wins at the highest level, relishing the step up in trip to 2m in 2011 when successful in the Ascot Gold Cup and the British Champions Long Distance Cup. Taking over the mantle of smart stayer Yeats will be a tall order but this son of Montjeu could well prove himself in the same league. This son of Oasis Dream is indeed a power house winning 4 of his six starts last term, including the Group 2 Coventry Stakes at Royal Ascot and the Group 1 Goffs National stakes at the Curragh. Sent off favourite for the Dewhurst he encountered trouble in running and was just pipped at the post by Parish Hall. He is entered for the 2000 Guineas and is a sound prospect stepped up to a mile on a sound surface.